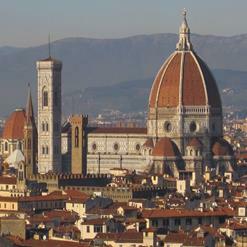 Being the largest part of Florence, it is an immense agricultural estate located on the banks of Arno River. Varieties of different cultivations and plantations are preserved in the park and visitors can find some great rare species of plants and fruits in there. Origin of this park dates back to 16th century and it officially opened for the public in 18th century. It seems to be a green space offering all the calmness and leisure away from the hustle and bustle of the city.